Servicing your Volvo on a frequent and regular basis reduces the chances of any mechanical problems from occurring and keeps the car's resale value high.But there's absolutely no need to go to a main dealer to get great quality Volvo servicing in Bradford. At Drive in Service Centre in Shipley we’re real Volvo enthusiasts, so stop paying the high prices charged by dealers when you can receive the same level of service, repairs and high quality parts at a fraction of the cost from us. The same as a Volvo main dealer – well, nearly! Nearly, because we don’t have anything like the same charges that you would pay with a main dealer. You may be shocked to find out that our prices can be as much as 60% less than a Volvo main dealer - and that’s a significant saving, certainly when everything else is the same. Best of all, you’ll save a wad of cash! Thanks to a recent ruling called ‘Block Exemption’, you’re now able to use a garage of your choice to service your Volvo without making the manufacturer’s warranty invalid. There is no need to go back to the main dealers. So when you need your VW servicing or repairing, we’d like to think that there’s nowhere better in Bradford or Shipley to have it done and, once you’ve compared our prices, we think you’ll agree. Get in touch today on Bradford 01274 794991 to learn more about our low prices. 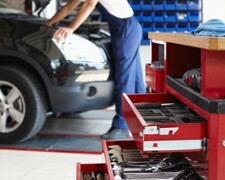 It's our aim to offer customers, old and new, the best value MOT service in and around Bradford! No matter what car you have, call us for free advice, help or a free quote!